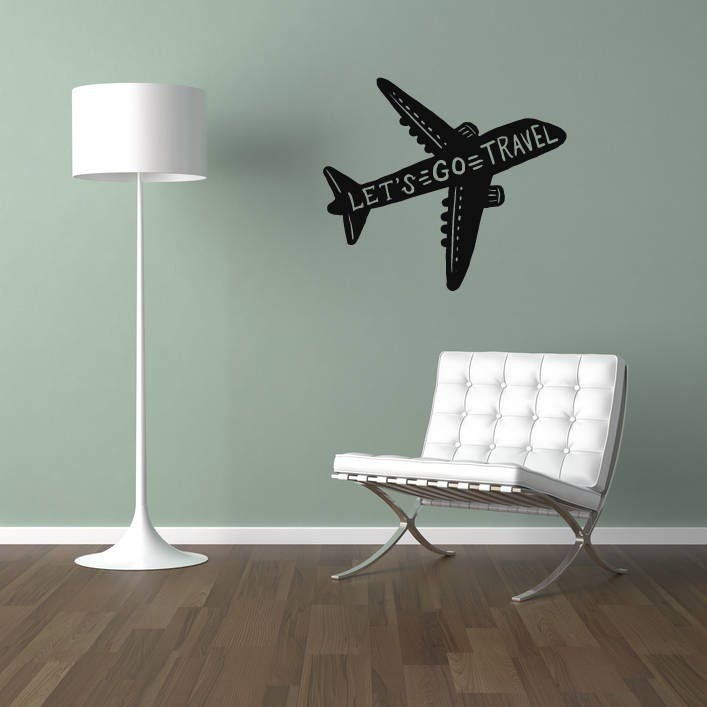 Let's Go Travel wall sticker quote. Features a plane, with the quote within the plane. 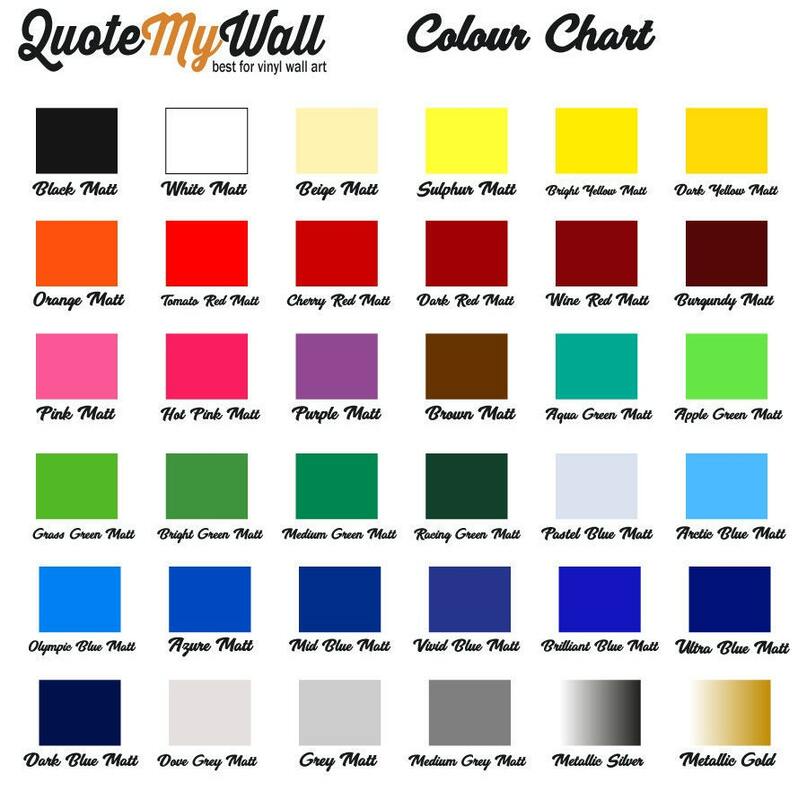 Look's great doesn't it?! 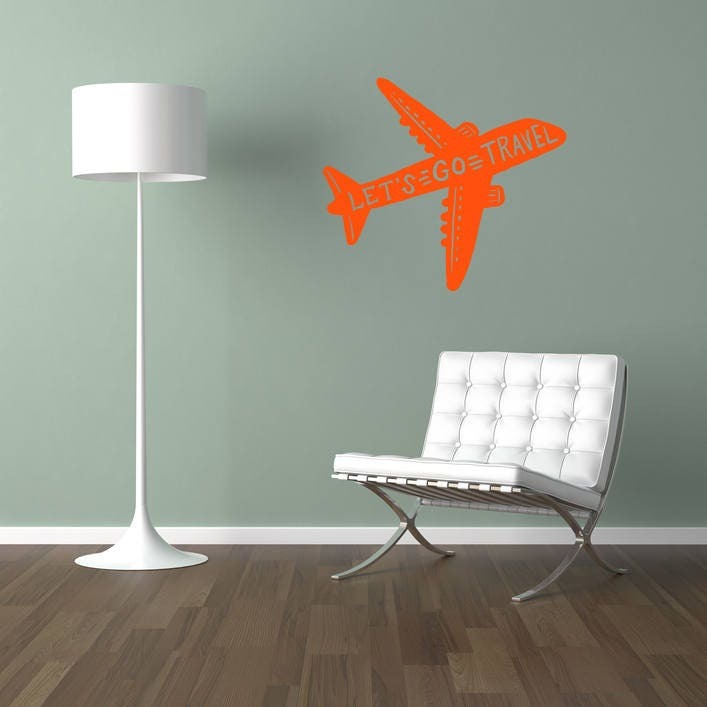 Perfect for the keen traveler out there.